There may come a time when caring for your AD or Dementia afflicted relative at home is no longer feasible. So with great reluctance, anxiety and apprehension you face the inevitable - the need to transfer your loved one to a Nursing Home. Today, an ever increasing number of us face this sad situation owing to the lack of available suitable helpers or family members to care for our aging relatives at home. To meet this growing need Nursing Homes have become a thriving business and a common feature in most suburbs. Most are established in remodelled existing bungalows rather than in purpose-built facilities. Nearly all have attractive websites promising appealing surroundings and tender loving care. How then do you choose a Home for your beloved relative? Simple answer – be informed. Disregard the website promises: visit the Homes, observe and investigate. Most importantly, ask the right questions. 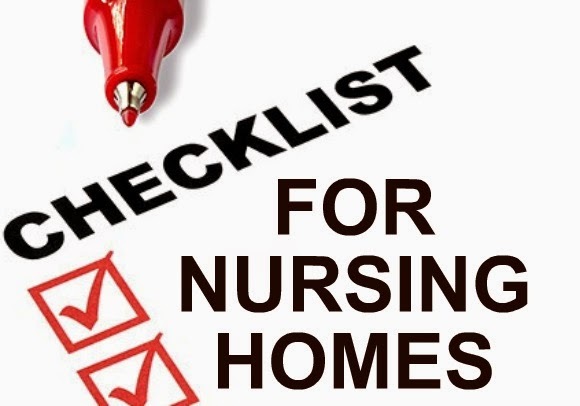 Assuming that you are checking out a licensed Home that fits your budget and is easily accessible, the following is a brief list of what to look for, and questions you need to ask the Home Administrator and/or Nurse in Charge before you entrust your relative to any Home. Staff should not only be qualified and experienced, but also be caring. Investigate this aspect very carefully as you will be leaving your loved one in their care 24/7. Observe how they interact with residents, whether they address residents with respect and kindness, whether they seem more interested in their phones/iPads or TV rather than attending to residents. What is staff/resident ratio? How many nurses/carers/helpers? Are nurses and other staff trained for AD/Dementia care? How they are trained? Do they attend ADFM’s or other courses? Do they watch training videos? Are they given handouts/guidelines on how to handle problematic behaviour? Ask to see these guidelines. Ask how they would handle the specific problem behaviour that your relative may have, e.g. wandering, aggression etc. Ask about the Home’s policy regarding use of restraints. A clean, spacious and airy dorm with enough sunlight coming in. Note the attached bathroom and toilet. (Indoors): Is it clean? Odour-free? Cheerful? Have a pleasing decor rather than an odd assortment of cheap, worn-out furniture? Are upholstered chairs stained by food, urine etc? Are rooms spacious enough for the number of beds in them? Do all rooms have windows? Are rooms air-conditioned and not gloomy, hot and stuffy? Are there handrails in the hallways and bathrooms? Are there emergency call bells in each bathroom and beside beds? Are residents’ rooms and public areas safe, e.g. no slippery rugs, nothing on top of cupboards? Are there private areas for residents to be in when family and friends visit? Is there a table for residents to work or play at, do art, craft or puzzles, use iPads, play cards, etc? (Outdoors): Is there a garden with seating areas and paths for walking or exercise? Is the outdoor area obstacle-free with no open drains, stones and other hazards nearby? 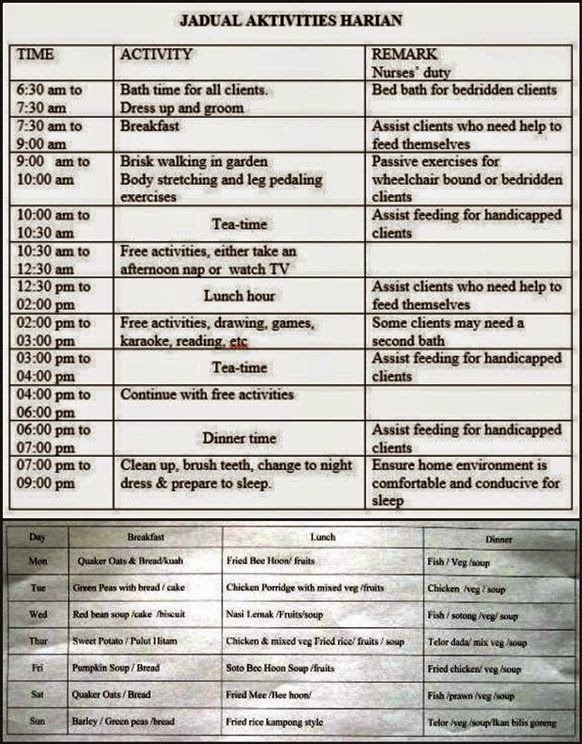 A good nursing home should have a daily programme of activities and a well-planned daily menu. A necessary feature of any care facility is a range of activities to keep residents active and happy to counteract the inevitable sense of isolation and insecurity they would feel away from their families. As you are touring the building, notice if the residents appear to be doing something other than sitting on front of a TV. Look for a weekly activity schedule, which should be posted. If it isn’t, ask for one. Is there a games room or even a table for games? A library or even a bookshelf? Computer work stations? Internet access? Any musical instruments/CD player? Are special activities available for those confined to their rooms or wheelchairs? Are volunteers encouraged to visit and/or provide programs? Any excursions, weekend and evening activities? Does the activity calendar reflect the interests of the residents? Ask to see the weekly schedule of activities. Are brain-building or memory-testing games available? 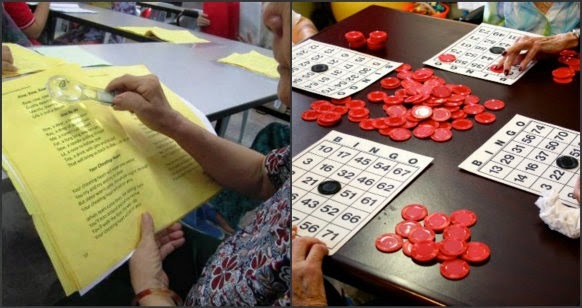 Singing and Bingo are popular activities at dementia care facilities..
One of the first things to note is the overall well-being of residents. Determine if they seem alert and happy, and see if they look clean, well taken care of and properly groomed. Does the Home have a doctor on call? Does the doctor make regular visits to check on general health of residents? Are in-house services provided for residents’ hair, beauty and podiatry needs? How are residents’ dental/vision/hearing needs attended to? Are rehabilitation services available, such as occupational therapy, physical therapy, speech therapy or recreational therapy? Do residents get enough morning sun and daily exercise? Does the Home keep a record of the residents’ backgrounds, e.g. their past life; their relatives; their likes/dislikes; what upsets them; what causes/triggers problematic behaviour etc? Ask to see sample record if possible. Nutrition is a vital part of your loved one’s good health. Nursing Homes are first and foremost a business, so make sure cost-cutting measures do not mean your relative gets sub-standard and poor nutrition. Plan unscheduled visits during mealtimes if possible. Does the food that is being served look and smell attractive and appetizing? Does the food appear to be nutritionally balanced? Are tables attractively set with proper utensils, cutlery and napkins instead of pieces of a toilet roll? Are residents interacting socially during meals? 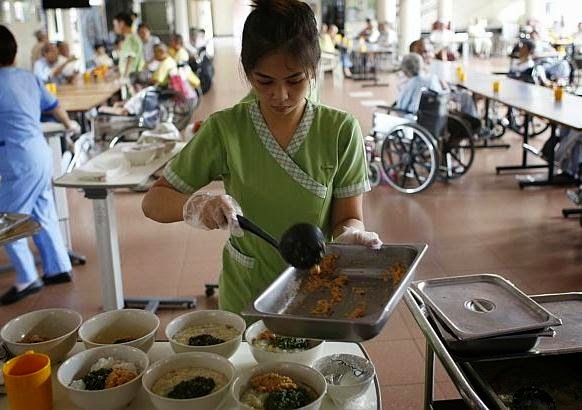 Are residents who need help being fed with patience and care? Are there options for residents to choose from at mealtime? Ask to see the weekly menu. Does a dietician plan the menus taking into account the special needs of residents? Can relatives eat with their loved one occasionally? Are nutritious snacks available during the day and evening? Do not leave your beloved relative in the hands of a bad administrator. IS CANCER DUE TO BAD LUCK TOO?